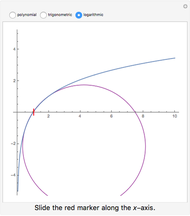 For a given point on a function, a circle with tangency and matching curvature is known as either the circle of best fit or the osculating circle. 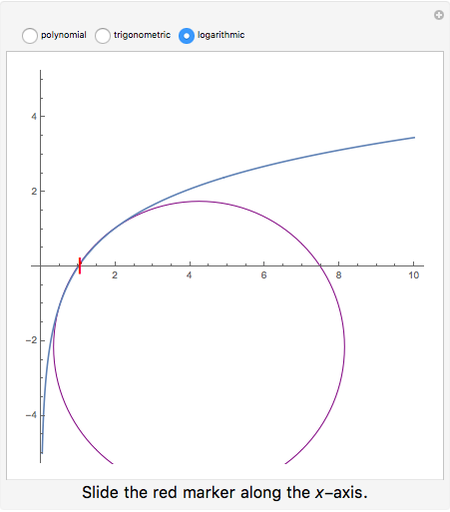 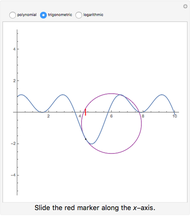 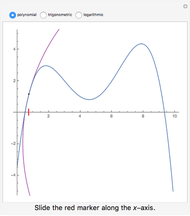 Slide the marker along the x-axis to move the tangency point on the curve. 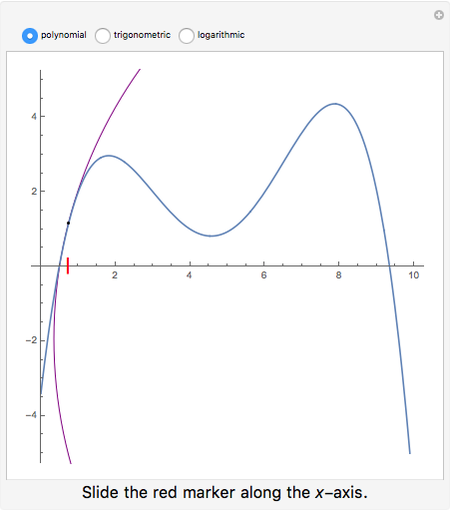 Choose among polynomial, trigonometric, and logarithmic functions.